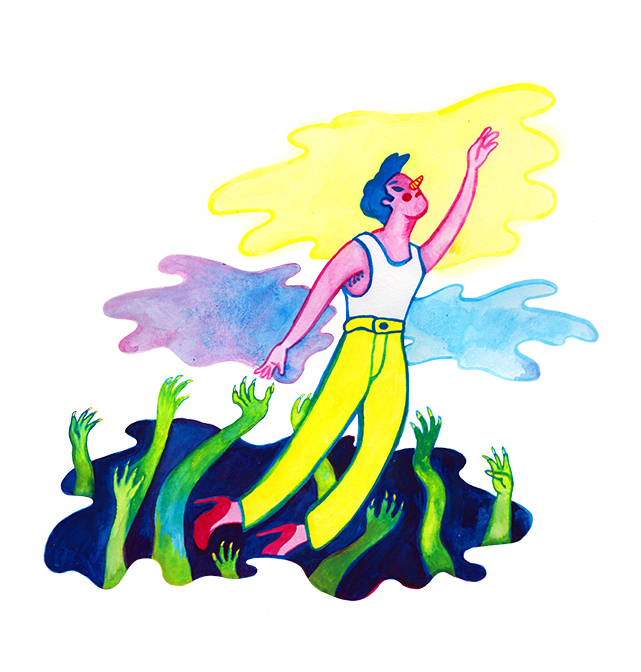 This illustration was commissioned by the website The Daily Indie for an article about ‘Perfume Genius’, one of the acts at Le Guess Who? festival, and about his music. How he is focused on the future for the first time, but also still feels his trauma’s from the past getting him down sometimes.